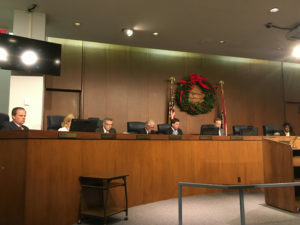 Legislation that would change the County Council’s weekly meeting time could be heard during its final passage stage on Tuesday. The bill which is sponsored by Councilman Mark Harder would attempt to change the starting time of the meetings from 6:00 p.m. to 6:30 p.m. Harder stated this would allow county residents more time to arrive to the meetings and voice their concerns about county government. The bill was heard last week during its second reading phase 7-0. 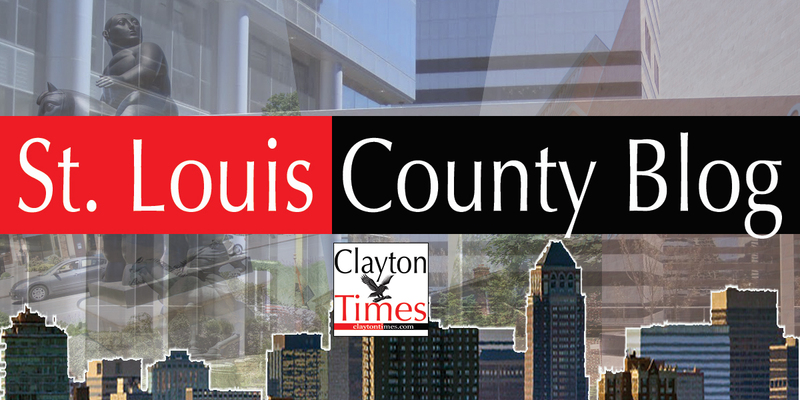 In addition to Harder’s legislation, St. Louis County Executive Steve Stenger is requesting a bill which would appropriate a grant in the amount of $62,188 from the Deaconess Foundation for a Pediatric Outreach program. The purpose of the project is for the Department of Public Health social workers to conduct outreach in the county’s schools and work with site administrators to design unique behavioral health rehabilitation and wellness intervention to meet student needs in order to reduce behavioral health challenges experienced by disadvantaged youth in St. Louis County. Hi, I do think this is an excellent website. I stumbledupon it 😉 I may revisit yet again since I saved as a favorite it. posts here early in the morning, since i enjoy to learn more and more. hello!,I love your writing so much! share we communicate more about your article on AOL? After exploring a number of the blog articles on your web site, I truly like your way of blogging. on the web I found this web page as a finest web page for newest updates. blog but I do write in my diary everyday. If you wish for to improve your know-how only keep visiting this site and be updated with the hottest gossip posted here. You are very intelligent. You understand therefore considerably with regards to this topic, made me in my view consider it from a lot of varied angles. in finding it very bothersome to tell the truth then again I will surely come back again. and I am shocked why this coincidence didn’t took place in advance! sense. However, think about this, suppose you wrote a catchier title? at Yahoo’s home page and note how they write post titles to get people interested. Normally I don’t learn article on blogs, however I wish to say that this write-up very pressured me to check out and do it! It’s awesome designed for me to have a site, which is useful designed for my experience. Having read this I believed it was very enlightening. I appreciate you spending some time and effort to put this informative article together. keeps the plan of a user in his/her brain that how a user can know it. I’m somewhat sure I’ll learn lots of new stuff right here! sources back to your website? My blog site is in the exact same area of interest as yours and my visitors would genuinely benefit from some of the information you provide here. Asking questions are genuinely fastidious thing if you are not understanding anything totally, but this post gives good understanding yet. quite a bit up very fast! What host are you using? Can I get your affiliate hyperlink on your host? his web site, because here every data is quality based stuff. choose?.I am trying to find things to improve my site!I guess its adequate to use some of your ideas!! Excellent items from you, man. I have understand your stuff prior to and you’re simply extremely excellent. what you’re saying and the best way through which you assert it. Excellent goods from you, man. I’ve take note your stuff previous to and you’re just too great. way in which you say it. You are making it entertaining and you continue to care for to stay it smart. am encountering troubles with your RSS. I don’t know why I can’t subscribe to it. It’s genuinely very difficult in this full of activity life to listen news on Television, thus I only use the web for that reason, and obtain the latest news. fastidious to read this web site, and I used to pay a quick visit this blog every day. on few common things, The site style is wonderful, the articles is truly nice : D.
I simply want to say I am new to blogging and site-building and seriously savored your web blog. Almost certainly I’m planning to bookmark your site . You really come with amazing article content. Bless you for sharing your blog site. carries tons of useful facts, thanks for providing these information. Amazing! Its genuinely remarkable article, I have got much clear idea about from this article. always i used to read smaller articles or reviews that also clear their motive, and that is also happening with this post which I am reading now. up higher! Come on over and talk over with my web site . definitely donate to this excellent blog! I suppose for now i’ll settle for book-marking and adding your RSS feed to my Google account. If some one wants to be updated with newest technologies therefore he must be pay a visit this site and be up to date daily. in finding things to improve my website!I suppose its good enough to use some of your ideas!! I’ve joined your feed and sit up for looking for extra of your magnificent post. Simply exactly how does one earn money from blogs? How does one beginning it or go about it? Exists a specific way to do it? Just just how does one make money from blog sites in the first place? Where does one get going in this? Do you have to market and also use your credit card? Are there any type of certain sort of guidelines you need to follow? Do you have to set the blog site up yourself or are there ones that assist you establish it up? Exactly how do you obtain advertisers on your blog? Are people restricted to the number of blogs online? Just how frequently do you get paid?. Thanks for the aid!. If some one desires to be updated with latest technologies then he must be go to see this web page and be up to date every day. your blog posts. Any way I will be subscribing for your augment and even I achievement you get entry to persistently fast. web site by accident, and I am surprised why this accident didn’t took place in advance! as this take a large amount of work? I have very little expertise in programming however I had been hoping to start my own blog in the near future. It’s awesome in support of me to have a site, which is useful in favor of my knowledge. I’m very pleased to find this great site. I need to to thank you for ones time for this wonderful read!! you could be a great author.I will make certain to bookmark your blog and will come back later in life. I visited several websites except the audio quality for audio songs present at this website is really excellent. Hurrah! Finally I got a website from where I can really obtain useful facts regarding my study and knowledge. with drawing close post. Thanks one million and please keep up the rewarding work. 🙂 I take care of such info a lot. I used to be seeking this certain info for a very lengthy time. encourage one to continue your great posts, have a nice afternoon! Hello my family member! I want to say that this article is amazing, great written and include almost all significant infos. person that genuinely understands what they are talking about on the net. Every code I attempt either leaves a substantial void at the top of the web page, or at the bottom of the page. Its certainly that code causing it. I’ve tried many codes trying to hide the blogs & extended network, yet they all leave a white gap either at the top or at the bottom. Any person obtained one that does not trigger the white gap? Or exactly how to eliminate the white space?. What’s up mates, how is the whole thing, and what you desire to say on the topic of this paragraph, in my view its truly amazing for me. screen in Opera. I’m not sure if this is a format issue or something to do with internet browser compatibility but I figured I’d post to let you know. write content for you personally? I wouldn’t mind producing a post or elaborating on most of the subjects you write with regards to here. songs existing at this website is truly fabulous. I was excited to find this site. I wanted to thank you for your time due to this fantastic read!! Useful information. Lucky me I found your website by chance, and I’m shocked why this accident did not happened earlier! in mind of. I say to you, I definitely get irked while people consider worries that they just do not recognize about. issue is something that not enough folks are speaking intelligently about. In fact my blog name is not relevant to my blog site specific niche. in this time i want to convert my blog to a website with blogger. however i don’t understand if i will do it, after that how much will impact my blog site web traffic?.